To some extent, both brands do the same function, yet relatively speaking, there is a huge difference between the two prices and both products are still in demand, is this justifiable? This is because each of these two products has a different strategic direction. From Porter's point of view, a strategy could follow any of two main directions; either Low Cost or Differentiation, the third option would be a Hybrid approach that is somewhat between the two. Hence, in this example, 'Shaarawi' offers a very basic product but for the lowest price among its competitors. 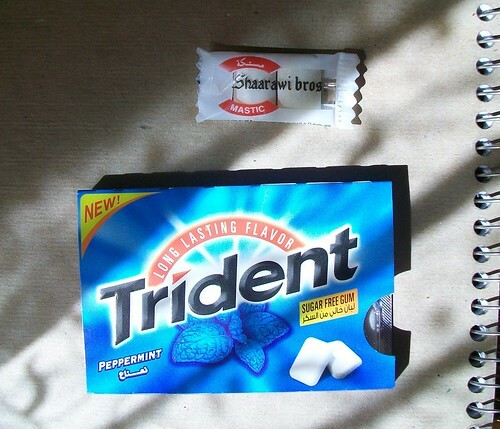 On the other hand, Trident's offering has been differentiated by promoting additional features such as a long lasting flavor, a sugar-free product plus a more appealing package which could have implications about the quality; from a consumer's point of view this justifies the price difference. Usually, when a new player joins an existing market it utilizes a Low Cost strategy to gain market share. Porter's Strategies are not only restricted to business. For instance, a job applicant with a Differentiation approach would try to increase the likelihood of having a better paying job through emphasizing how different he/she is; including a solid list of qualifications or a background of voluntary work and extracurricular activities. Conversely, the applicant would try to secure the opportunity and settle for a very basic salary in case of a Low Cost direction. One last thing, have you considered how a product being sold for 1 piaster manages to cover manufacturing cost and still has a profit margin?! * Reference: Johnson, G., Whittington, R., & Scholes, K. (2011). Exploring Strategy: Text & Cases (9th Edition ed.) Harlow: Pearson.